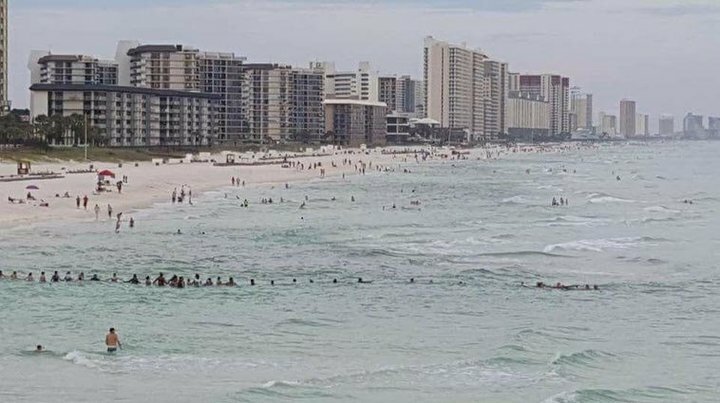 A family is thankful to be alive after an estimated 80 people formed a human chain to save them from the grips of a rip current in Panama City Beach on Saturday. 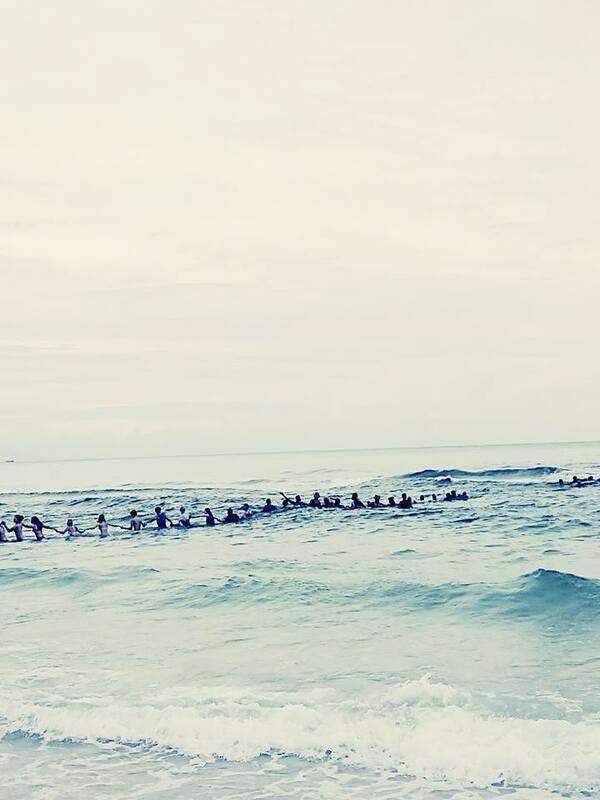 Photos were snapped of the massive chain stretching into the water to reach 9 family members gasping for their lives. Ursrey, her husband, mother, nephews and children were enjoying a day at the beach when she said she heard her two sons screaming for help. Ursrey rushed into the water to try and save them. One by one, family members followed after her and they too were overtaken by the water. Jessica Simmons, who credited herself as a strong swimmer, went in after the family and instructed others to connect with her in a chain. 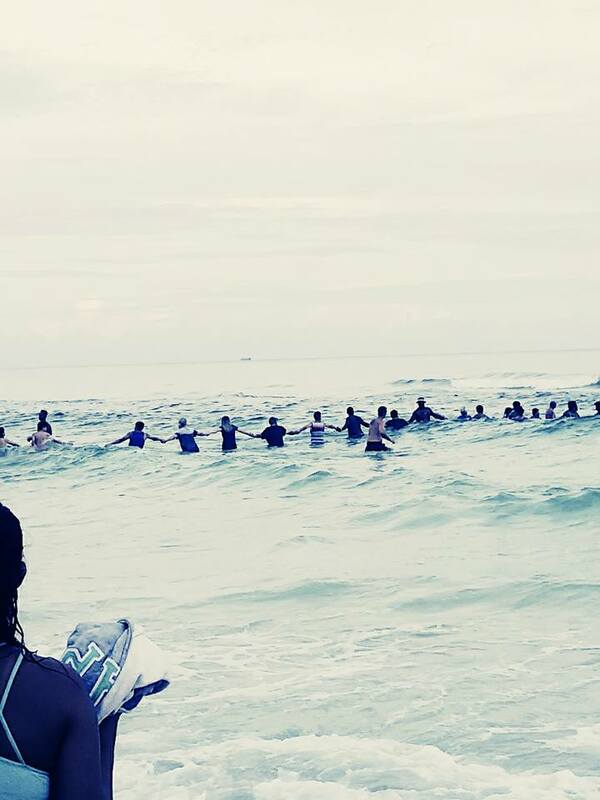 Approximately 80 people ventured into the water to successfully bring each struggling swimmer to safety.